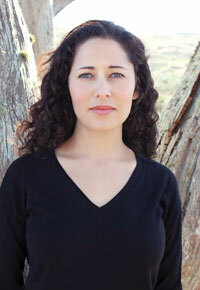 Kirstin Valdez Quade’s arresting New Mexico stories are storming the gates of Lit City. Santa Fe grandmother Jenny Zamora Valdez has a lot to brag about. Not only does she talk with her granddaughter, Kirstin Valdez Quade, every other day, but said granddaughter recently won the National Book Foundation’s “5 Under 35” award. Her collection of stories Night at the Fiestas (Norton) was released in March. Quade’s own stories capture northern New Mexico in startling and lucid scenarios, from the ne’er-do-well Amadeo Padilla, chosen to represent Jesus during a no-holds-barred Penitente reenactment (“The Five Wounds”), to a naïve though astute teenage girl who takes the bus from Ratón to Santa Fe to seek adventure with a party-girl cousin during Fiestas. Another story, “Nemecia,” is a Norteño gothic tale of a violent girl fostered by her aunt and alternately feared and worshipped by the cousin she absentmindedly abuses. Quade’s voice transforms what—in less skilled hands—would be slight regional yarns into nationally recognized works. “The Five Wounds” ran in The New Yorker and was included in Best of the West 2010. “Nemecia” was included in The Best American Short Stories 2013 and The O. Henry Prize Stories 2014. Quade’s writing is inking New Mexico’s culture into her readers’ consciousness as indelibly as Carson McCullers’ oeuvre evokes Georgia. In March, she added a new, deliciously triumphant layer to her Santa Fe associations (and a new thing for her grandmother to brag about): She gave a reading at Collected Works Bookstore, where she used to work as a bookseller. For writers like Quade—and for her readers—it is.